SaltStack tutorials and talks highlight speed and flexibility at scale through modern systems and configuration management software. SaltStack, the full systems and configuration management stack for any cloud, today announced several presentations, workshops, meetups and tutorials at upcoming Linux conferences in Berlin, Germany and Austin, Texas. 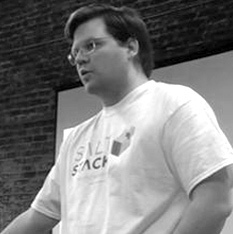 This week at LinuxTag in Berlin, Thomas Hatch, creator of Salt and SaltStack CTO, will host a Salt workshop on Thursday, May 23 from 2:00 - 4:00 pm in Weimar 3. Following the workshop on Thursday, Tom will deliver a presentation titled, “Beyond Open Source Configuration Management - Rapidly Building Any Cloud at Scale,” at 4:45 pm in London I. The Salt project at LinuxTag can be found in hall 7.1a booth #132. Next week, SaltStack will sponsor Texas Linux Fest (#TXLF) in Austin, May 31 - June 1. On Friday, May 31, at 8:00 am SaltStack will provide a half-day tutorial. The tutorial will be led by Dave Boucha (@Utah_Dave), SaltStack senior engineer, and will provide an introduction to SaltStack with a getting-started overview. The tutorial will also provide detailed instruction, demos and hands-on labs for SaltStack remote execution, configuration management and cloud orchestration functionality. On Saturday look for SaltStack in the exhibitor hall. SaltStack is unique in providing enterprise software for remote system execution together with configuration management built specifically for modern data center infrastructures and any cloud environment. SaltStack takes a programmatic, common-sense approach to server infrastructure configuration and management, allowing IT organizations to quickly create or utilize existing system states and automation flows. SaltStack is utilized by enterprise application support teams, system administrators and DevOps staff who require fast and scalable process automation. SaltStack also provides dynamic and flexible parallel provisioning for physical environments and orchestration for cloud and virtual environments. SaltStack works in a push or pull model with intelligent masters and minions for flexible and dynamic automation. The Salt open source project currently has more than 450 unique contributors, notably larger and more active than any other systems or configuration management community. In 2012 Salt was named by GitHub as one of its top-ten largest development projects. SaltStack is a long-term supported branch of Salt and, by design, SaltStack code is 100% open, fast, scalable and flexible.